It seems the only evidence there is to the origins of the Tarot can be found in the cards that were made in Italy, around 1420. The symbolism of the trumps can be found in the European art of the time, with some drawings being exactly the likeness of those found on Tarot cards. History tells us that a scholar named Marziano da Torona, who was secretary to the Duke of Milan, may have invented the Tarot deck. Marziano was a scholar and an expert astrologer. The young duke, Filippo Maria Visconti instructed Marziano to create a game, using a deck that would replace the common suits of swords, coins, staves and cups. The duke wanted the new deck to have cards that represented virtues, riches, pleasures and purities. Marziano went on to create the card deck that Visconti wanted. He wrote a companion book to go with the deck of cards. It is on display in the Paris National library. In the book, there are no divine meanings to the cards, but no real rules for a card game, either. The book focuses on the symbolic meaning of the pictures and the different ranks of the depicted characters. Michelino da Besozzo is the Italian artist credited with painting the cards. Is it plausible that the origins of the Tarot as the curious card game invented by Marziano da Torona? If so, why doesn’t the book that accompanied the deck refer to the divination of the cards? Where did the word Tarot come from? It has been called a Hebrew, Latin or Egyptian word. Is the word Tarot really an anagram, which when solved explains the mystery of the cards? Once again, the historical evidence of the origins of the word points to where the cards first appeared – in Italy. The cards were called Carte da trionfi, which is Italian for “cards of the triumphs”. Later, a new card game was introduced, called Trumps or Triumphs. As it was played with different cards, the original Carte da trionfi became tarocco. In French they were called tarot. What are these cards that are shrouded in mysterious beginnings used for? Are they good or evil? The Tarot is basically a set of symbols, which are printed on a pack of 78 cards. 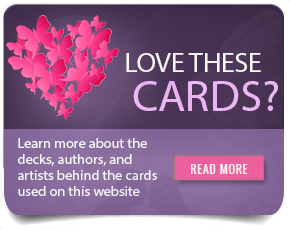 Regular playing cards have hearts, clubs, spades and diamonds as suits. Tarot cards have different suits, with meanings. The Wands (also known as staves or rods) point to creativity and energy. There are the Cups (or vessels), relating to emotions and friends; Swords cover the area of challenge and thought; the Pentacles (coins or disks) relate to money and security. The cards are placed in a particular pattern. A Tarot reader uses the cards as an oracle that can answer questions from the past, present or future. The philosophy behind the Tarot is that the future is subject to change. If you are given enough notice, you can avoid the event you are being warned about. The Tarot makes you think, make you take steps that you might not have considered. When you ask a question of the Tarot that relates to the future, you’ll be shown what will happen if you don’t change anything. 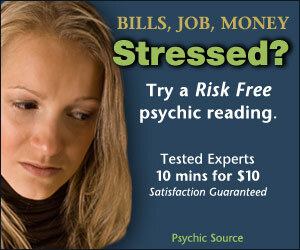 Many consider the Tarot cards as more of a counselling guide than a divining tool. Tarot readings can provide flashes of inspiration where otherwise the problems the person may be facing may seem insurmountable. Do the cards that are used today, all over the world come from the deck Marziano da Torona created in the 1400’s? Is the reason the origins of the Tarot are so shrouded in mystery owing to Anima Mundi? The Anima Mundi or soul of the world is seen as the vital force that presides over the growth and continuity of all living things. Like a Universal library, it contains the entire human races’ memories and wisdom from the past, present and future. It can be summoned with deep thought. Imagine all the basic figures one could find in all religions, myths, legends and folklore. When combined, this wealth of knowledge is a powerhouse. To understand this more one can look at the Empress card of the Tarot. The very essence of femininity is represented in the Empress – she is the great mother Goddess of the world. She represents ‘the eternal feminine’, in myth and psychology. Does working with the images of the Tarot somehow allow our unconscious to connect with that human collectiveness? Does the Tarot become a porthole to the storehouse of answers to any question any of us has ever had? Perhaps it is because of the mystical Anima Mundi that we can’t pinpoint the origin of the Tarot with certainty.